Just back from a fabulous week of yoga in the Spanish Alpujarras, I’m not even going to attempt to recreate the amazing vegetarian feasts we enjoyed on a daily basis in Las Chimeneas, not least because my tomatoes, peppers, courgettes and aubergines are still several weeks from being anywhere near fruition! To say nothing of cherries plucked straight from the tree, fresh peaches and apricots, and divinely buttery new potatoes…. What I do have, however, is a glut of broad beans, despite inviting friends to help themselves in my absence, and a plentiful supply of delectable English strawberries – perfect with my breakfast yogurt and muesli, as well as with meringue and whipped cream for the quintessential English pud. A week of heavy rain while I soaked up the Spanish sunshine has led to tremendous growth in the garden and at the allotment, so some of my broad beans have filled out rather more than I’d have liked: the ideal excuse to transform them into broad bean pesto! Having stripped my basil plants for Delia’s Pesto just before going away, I didn’t have quite enough fresh growth to harvest the 50g I needed for my standard Broad Bean Pesto, so a bit of adaptation was in order. Instead of basil, I chopped a generous fistful of fresh mint (Moroccan mint in my case, but ordinary garden mint would be fine too) and parsley, then filleted the broad beans after microwaving so that the end result was suitably emerald green and zingy. Steam or microwave the broad beans for 2-3 minutes then blanch under cold water. Unless your beans are very tiny, fillet the beans by removing the outer grey shells – a little bit fiddly, but worth it for the end result and bright green colour. Place all remaining ingredients apart from olive oil in a food processor with the filleted beans and whizz until smooth, pushing down the sides as required. Add the olive oil in a slow and steady stream until you have a thickish consistency. You may not need it all, so keep checking. Will keep for a couple of weeks, covered, in the fridge, or you can freeze. Pre-heat the oven to 160°C, Gas 6. Cook the onion and red pepper in the oil until soft and golden – 5-7 minutes. Place a 9” square baking dish (2” deep) into the oven to warm up. Add the rice to the onions and peppers in the pan and stir through to get a good coating of butter. (It will look as though there’s not nearly enough rice at this stage, but it swells during cooking.) Add the wine, pesto and the stock, season and bring to boiling point. Add the shelled baby broad beans or frozen peas, if using. Transfer the contents of the pan into the warmed dish, stir and bake, uncovered, for 20 minutes. Then stir in the raw prawns, 2 tbsp Parmesan and add more stock if it’s all absorbed – I find it always needs more, so make sure you allow extra. Return to oven and cook for a further 15 minutes, before serving with extra cheese and more chopped mint to garnish. You could, of course, use the standard basil-based broad bean pesto and use pancetta or bacon instead of prawns – anything goes! Despite the chill winds of mid-March, now is the time to start off those early seeds for summer crops. I sowed my chillis (Apache), aubergines (Bonica) and sweet peas and lobelia just over a week ago before escaping to the Alps for a sunny ski break. The lobelia (dark blue Crystal Palace) are up already, but no sign of the chillis and aubergines – not that I expected there to be! They can take up to 3 weeks, even in a heated propagator, so all the more reason to get them in early. You can, of course, buy young plants later on, but that’s much more expensive and I find they are more prone to disease and aphids if you buy them in, presumably because they are hot-housed in great numbers…. The sweet peas (Singing the Blues) are sitting 5 to a pot on the sunny conservatory windowsill and usually take around a fortnight to germinate. I soaked the seeds in warm water overnight this time before sowing; this used to be recommended practice, but advice seems to have changed in recent years, resulting in much worse germination in my experience – so back to the old tried and trusted methods! I usually sow another batch of seed straight out in the open in April too, and they invariably catch up by mid-summer, and extend the picking season too. Today I’ve planted parsley (Champion) and basil (British Basil), both in small pots in the propagator, and also three kinds of leeks : Nipper for early baby leeks from September onwards, Pandora for mid-season leeks and the blue-green Bandit for late winter leeks. Last year’s plantings are still going strong; in fact, I’m probably going to have to lift and store them in the next couple of weeks to make room for the new-season crops! Yes, they are in the ground a long time, but such a good-value crop for very little outlay and effort…. I would hate to be without my leeks! Each packet of seed usually contains plenty for two years of sowing – watch out for parsley, though, as fresh seed usually gives best results. 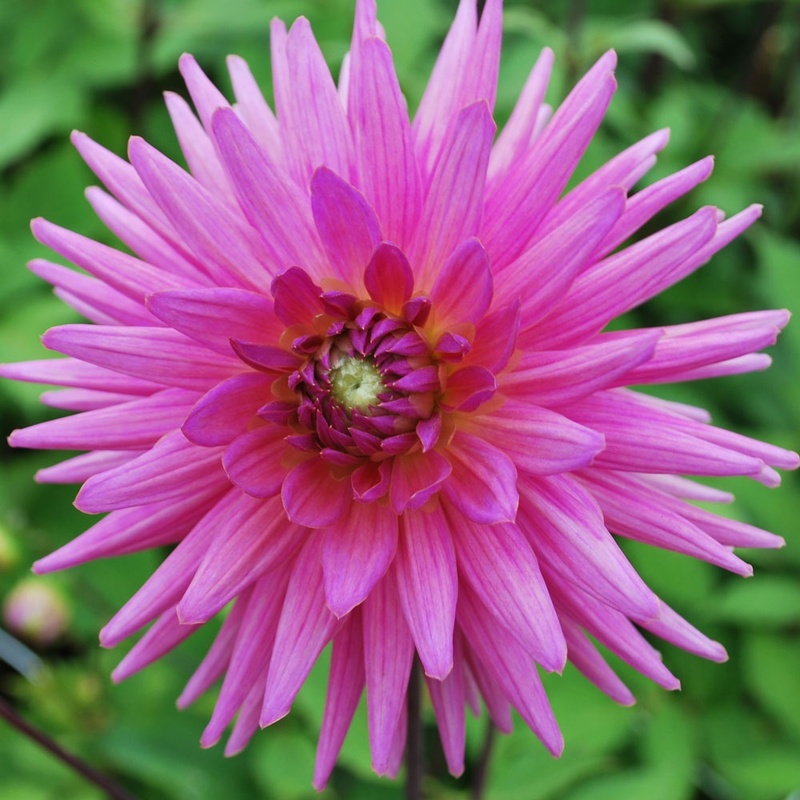 I’ve also potted up some new dahlias from Sarah Raven, ordered a few weeks ago: I love browsing through her catalogue (www.sarahraven.com) and try and experiment with new ones each year, if I can find room! 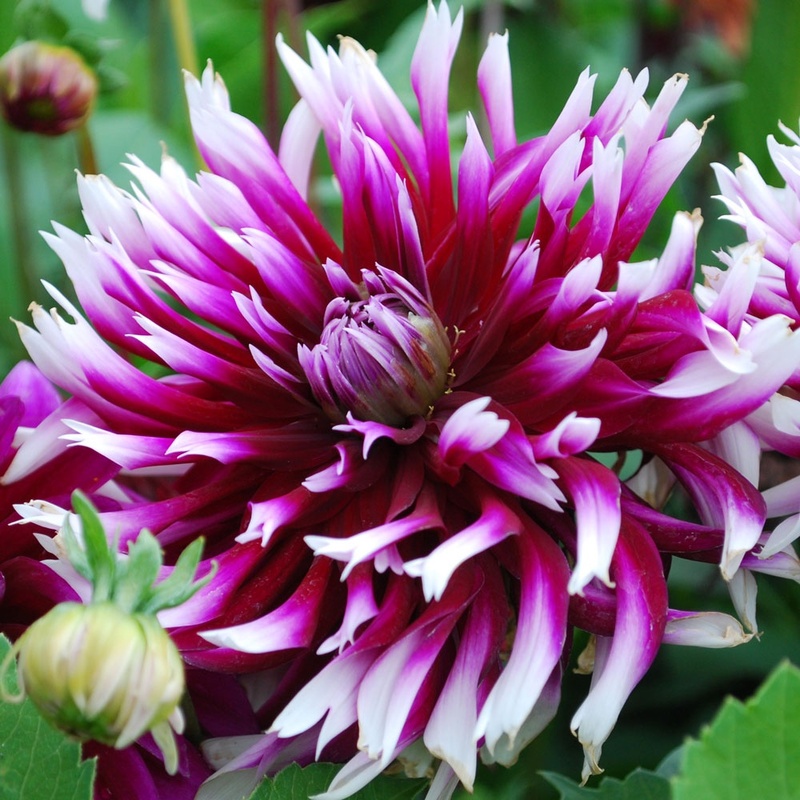 I jettisoned some single yellow dahlias I’d grown from seed last year, which didn’t go with my deep red, white and pink colour scheme down on the allotment, so just room to shoe-horn in a couple more! 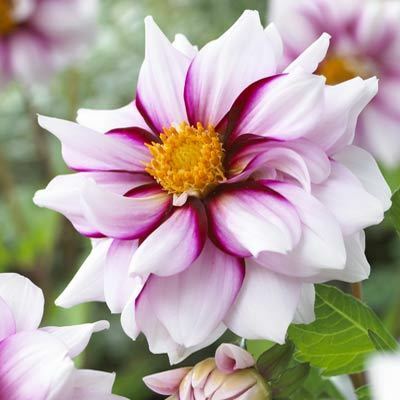 I’ve gone for a white and purple bicolour collection: Edge of Joy and Alauna Clair Obscur, as well as two pinks: a spikey cactus type, Sugar Diamond, and Gerrie Hoek, a pale salmon pink waterlily type – can’t wait! I find it’s best to start them in pots in my grow rack, allowing them to get going away from the harmful effects of slugs, then transfer them out when the shoots are growing well. Once they’re established, I usually leave them out to overwinter as they’re planted deep enough in the raised beds to withstand the worst of the winter weather, even when we had sustained periods of ice and snow a few years back. My final task of the day was to pot up the tuberous begonia corms I bought last year and had overwintered, well-wrapped in brown paper bags, in the shed. 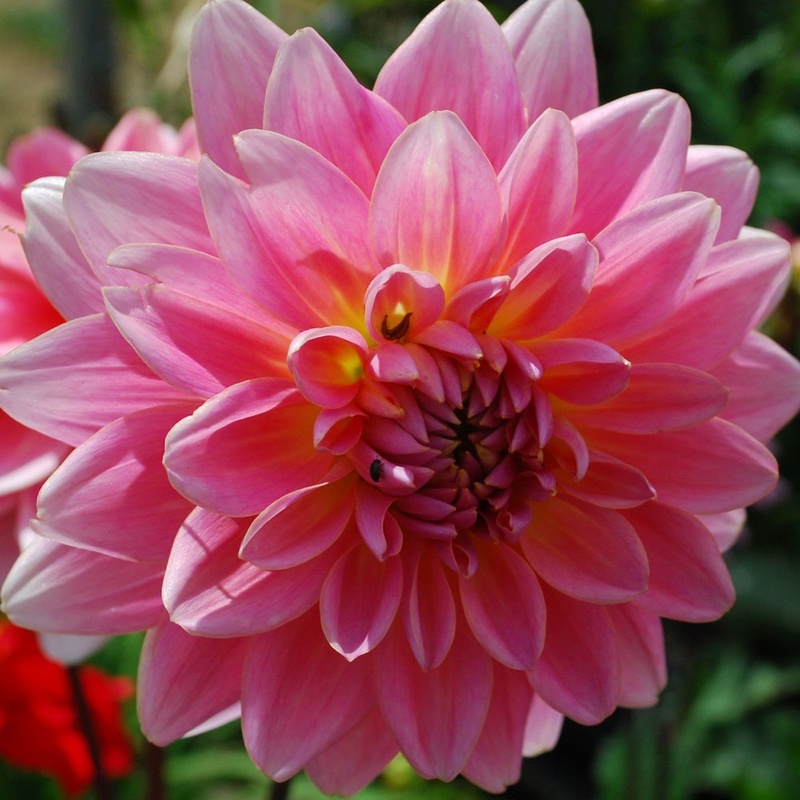 The corms had tripled in size since last spring and seem firm enough, so I’ve potted them up in large pots and put them in the grow rack with the dahlias – just hope we don’t get any severe cold spells now!